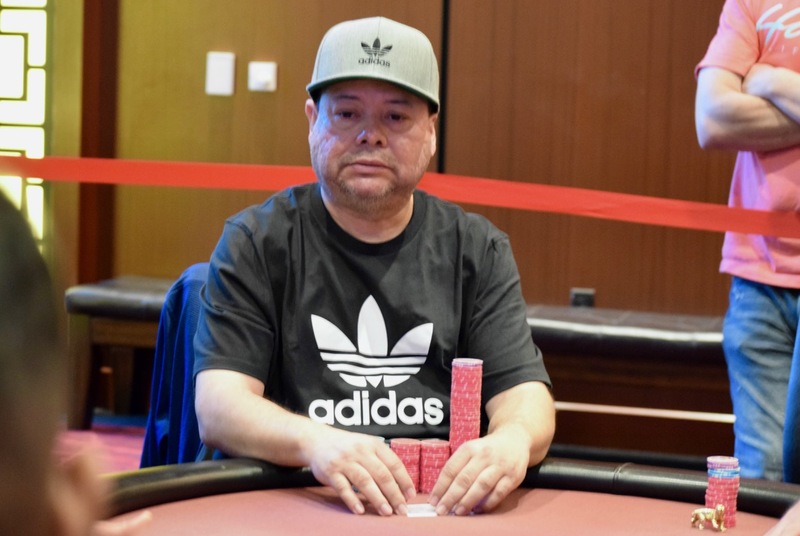 The preflop action was intense between Jimmy Zeledon and his challenger, with 310,000 in the pot before the [9c][4h][Kh] flop comes out. Zeledon moves in for 210,000 and the action comes to a pause for close to two minutes before there's a fold. "Want to see what I had?" asks Zeledon, he gets a positive response, and up go two Aces.